Roberts Jewelers was founded on March 1, 1946 in Jackson, Tennessee by Mr. Joe Cohen. The original store was a cornerstone of the downtown area for many years. Mr. Cohen's love for jewelry and passion for people created a successful business that focused on superior quality and excellent customer service. In 1970 Mr. Cohen hired Janet Silver as a young sales associate. Mr. Cohen became a mentor to Janet and taught her everything about the jewelry business. At an early age Janet decided that the jewelry business would be her life. She shared the same love, passion, and vision for fine quality jewelry as Mr. Cohen and in 1987, Janet became the owner and president of the company. Janet is married to Mr. Cohen's nephew, Michael Silver. Michael is currently enjoying his retirement, but still plays a supporting role in the business. Roberts Jewelers is a full-service store with a full-time certified jeweler and knowledgeable sales associates. Roberts has an extensive selection of fine jewelry and designer collections however, Roberts is best known for it's large collection of antique and estate pieces, bridal jewelry, loose diamonds, and one-of-a-kind treasures. Roberts estate jewelry combines beauty and history. Janet's passion for finding stunning, unique antique and estate treasures is evident from the vast selection available. Roberts comprehensive bridal collection provides customers with choices for every style and budget. All of Roberts diamonds are hand-selected for exceptional quality and value. 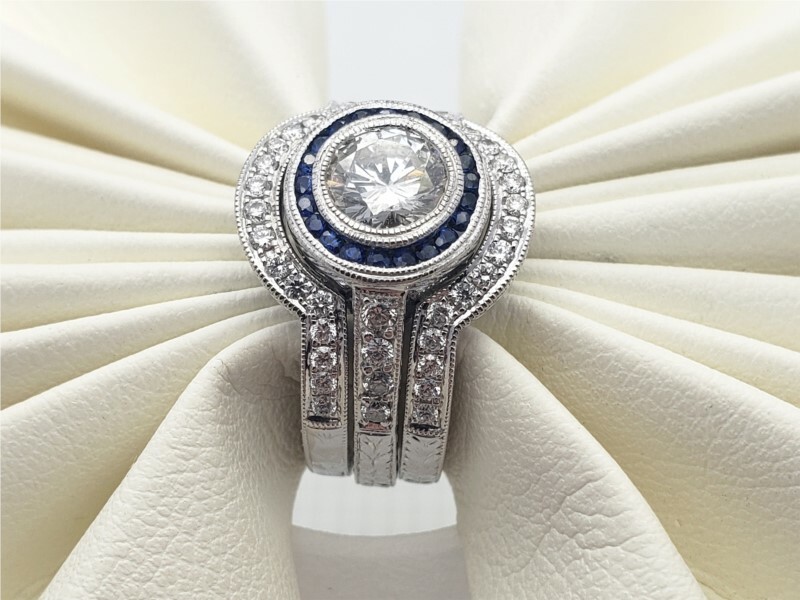 From timeless antiques to modern styles, Roberts has the solution to all your jewelry needs. Roberts also specializes in custom creations, remounts, repair work, and appraisals. In addition to beautiful and unique jewelry, Roberts Jewelers prides itself in delivering exceptional customer service, something Mr. Cohen instilled in the business from the beginning. Roberts has been a strong presence in the local business community for over 65 years and is honored to be a supporter of many worthy charitable organizations. Roberts has received numerous local honors and has even been recognized with several national awards in the jewelry industry. However, Roberts is most proud to have been a part of many special occasions for families in the West Tennessee area and beyond and hopes to continue this privilege for many years to come. Mother’s Day is right around the corner! Family is what matters. Express the love you have for them with new family member charms from Pandora! Don't forget your pets too!